FREE Bah, Humbug! (A Christmas Street Romantic Comedy Novella) Kindle Edition! You are here: Home / Great Deals / Amazon Deals / FREE Bah, Humbug! (A Christmas Street Romantic Comedy Novella) Kindle Edition! Looking for a fun book to read for the holidays? Right now, you can download the Kindle edition of Bah, Humbug! 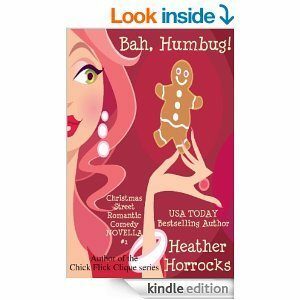 (A Christmas Street Romantic Comedy Novella) for FREE! For the first time in his writing career, Kyle has writer’s block–until he sees the snowman on his lawn and realizes it’s the perfect solution to his plot problem. He digs in and discovers two things: one, his villain’s weapon will fit inside a snowman’s body, and two, this particular snowman was supposed to be the backdrop for Lexi’s next show. From this improbable beginning comes friendship, but can there be a happy ending for a woman who is afraid to get close again and a man who has shadows from his childhood?